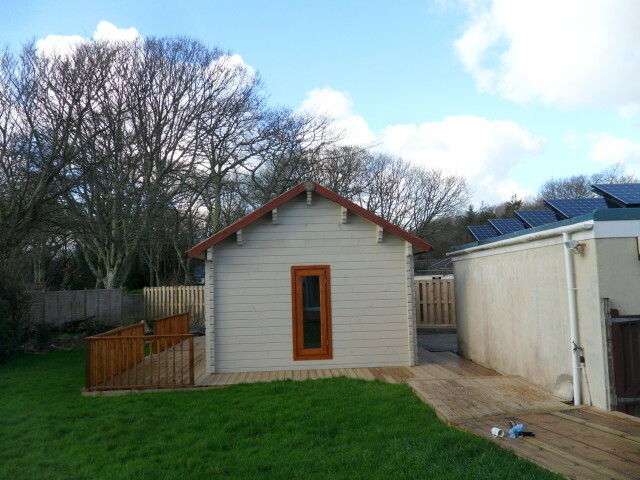 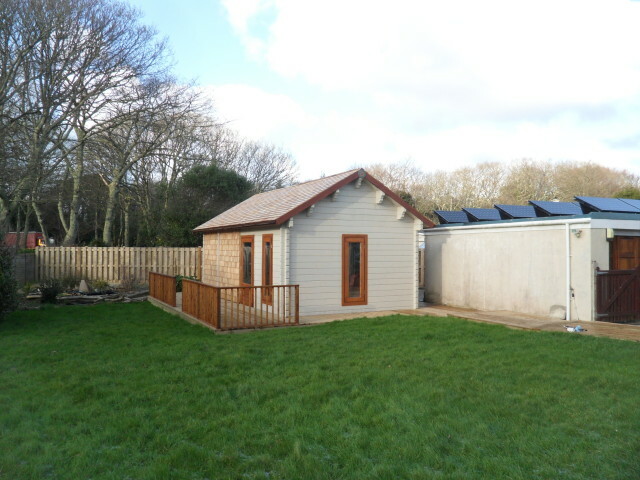 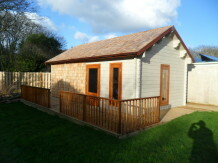 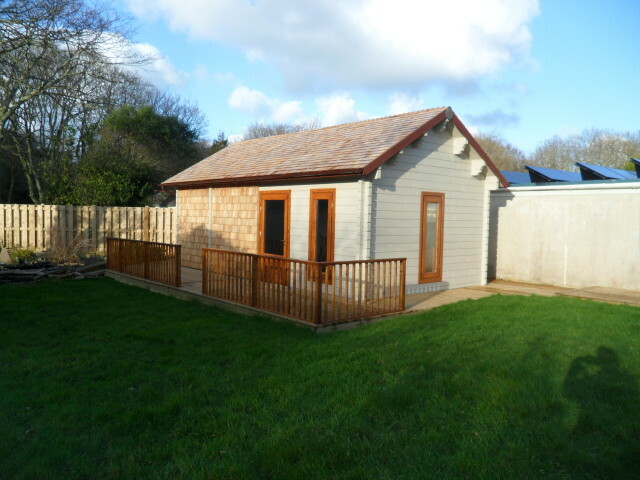 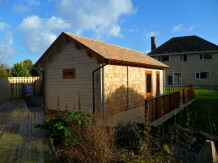 Here is a lovely 7.5m x 4.0m cabin we supplied to a customer in Camborne, Cornwall, recently. 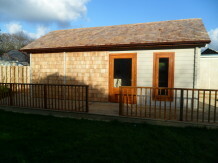 It has 80mm thick wall logs and factory painted windows and doors. The customer built the cabin himself and chose to use cedar shingles on the roof. Very nice.